Love knows no borders! Survivor and young American Emma Mysko traveled to Ireland to defend the preborn at a critical point in Irish history. She was on the frontlines, giving her all for children she will never know, in a country that is not even hers. We at Survivors are proud of her tireless efforts. Now hear, in her own words, her experience. Thank you for helping to send her. For three weeks, I traveled all over the beautiful country of Ireland; experiencing their culture, meeting locals, making friends that become like family, and coming to love everything about it. For three weeks, I lived in a country that constitutionally acknowledged the equal rights of all its people. For three weeks, I was a part of the fight to keep it that way. For three weeks, I was pushed to my limit, and then some. My team and I were spit on, had things thrown at us, were verbally abused, and physically assaulted. We were told that we would have been better off being aborted, and the women were called traitors to our own gender. For three weeks, I was constantly challenged. I was forced to acknowledge my own complacency when lives are on the line. I was forced to grapple with optimism, pessimism, and realism on a daily basis. The battle, however, was much longer than three weeks. For over three decades, Irish children were guaranteed the right to be born. For over three decades, the people of Ireland have fought hard to maintain equal rights under law. For over three decades, people diagnosed with disabilities and medical conditions in-utero were given the chance to live a full, happy life. The resulting diversity of life that has developed is so beautiful and unlike anything I’ve experienced in America. For over three decades, Irish mothers received the help, care, and support needed to continue in their pregnancies. The proactive mentality is that pregnant women in crisis deserve help to get out of the crisis, not abortion to get out of the pregnancy. For over three decades, Irish medical professionals have challenged themselves to do better for mother and child. They have chosen to do the right thing for both patients, not the easiest. They’ve adapted, overcome, and now Ireland is a global leader in maternal health. For over three decades, Ireland has proven the rest of the world wrong. Not only have its people survived without abortion, they have thrived. Hundreds of thousands of Irish citizens are alive today because of the eighth amendment. On Friday, May 25th, that life-valuing society ceased to exist. On May 25th, two-thirds of Irish voters chose to remove constitutional protections for preborn humans. As a result, Ireland has gone from being a country that stands out from the rest to being just another face in the crowd. What once made Ireland special is now gone. 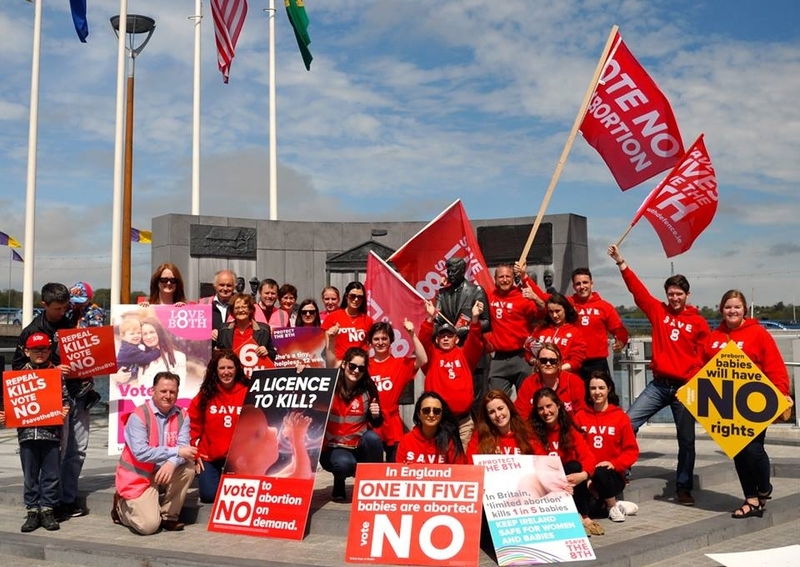 As an outsider, the pain and loss I’m feeling is nothing compared to that of those who have dedicated their lives to maintaining the 8th amendment. As a Survivor of America’s Abortion Holocaust, I’ve grown up in a society that allows the killing of its most innocent members. The Irish people have never experienced that, and I don’t think that as an American, I can actually comprehend the heartbreak and profound loss they are facing. In the days following the referendum, I witnessed many tears. I saw people who had truly lost the nation they once loved and their grieving was authentic and raw. But the Irish have never been known to quit! I saw them gearing up for the next round, wiping their tears, strategizing, determined to continue the fight. In the aftermath of the referendum, the saying, “We’re not called to win every battle, but we are called to fight,” has been running through my head. We may have lost, but we fought. And if there’s one thing I learned about the Irish people, it’s that they’re resilient. They won’t hang their head in defeat and lose hope. They lost this battle, but there’s more to come, and they are ready for the fight. "Rest in Peace Dear Children."